From award-winning Osmotics. Instantly perfect your natural skin tone with this 3-in-1 facial tint. It beautifully blends together Osmotics' signature line-blurring technology with a gorgeous, sheer wash of color that never looks "made up". Also contains skin-saving SPF for a youthfully radiant glow. · Available in: Light, Medium or Dark. May be used alone or combined with our Inner Light BioDefense Primer. Apply evenly to face daily as the last step (4) to help protect skin from photo-aging. Leaves skin soft, smooth and glowing! Water, Cyclopentasiloxane, Octyldodecyl Neopentanoate, Citric Acid, Butylene Glycol, Hydroxyethyl Acrylate / Sodium Acryloyldimethyl Taurate Copolymer, Capryloyl Glycine, Oleth-3 Phosphate, PEG- 7 Trimethylolpropane Coconut Ether, Phenoxyethanol, Polyisobutene, Ascorbyl Palmitate, Sodium Hyaluronate, Iron Oxides, Triethoxycaprylylsilane, Undecylenoyl Glycine. 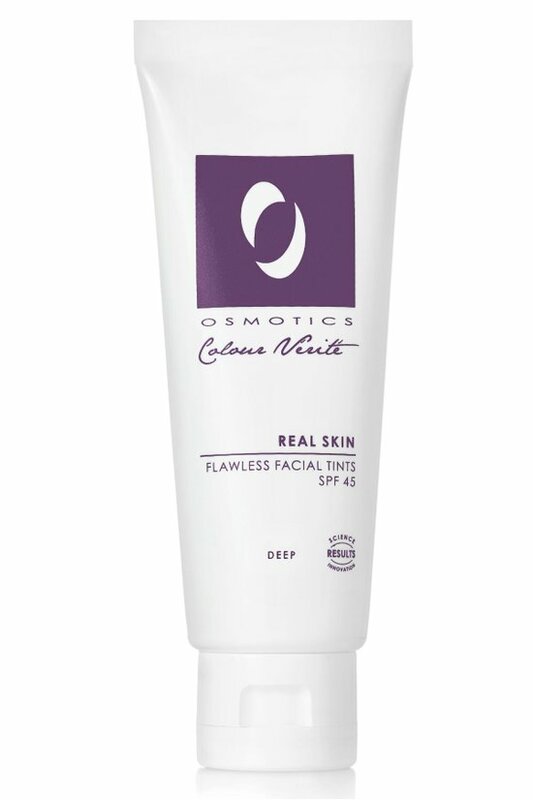 ACTIVE INGREDIENTS: Zinc Oxide 8.0%, Octinoxate 7.5%, Octisalate 2.75%.